than 50 years. 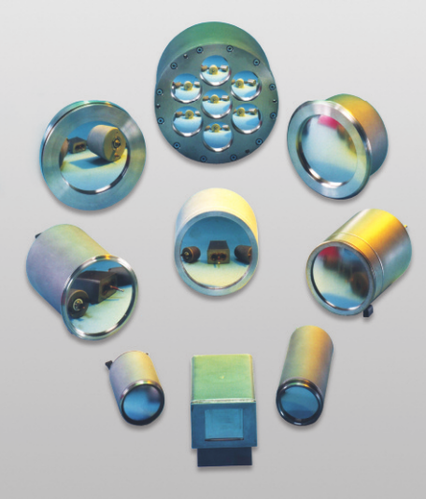 Ionization chambers of this type are mainly used in traversing measuring systems as sensors for radiometric thickness, area mass and density measurement applications. These measurements are based on the transmission or backscatter principle. Capitalizing on rich industry experience of 13 years, we have attained expertise in the sphere of Manufacturing, Exporting, trading and supplying a comprehensive assortment of Radio Pharmaceuticals. Our comprehensive gamut comprises Cold Kits, Sanlar Manufacturing Equipment, Nuclear Medicine Equipments, Blood Irradiators and Phantoms. Furthermore, we also deal in Radiochemical Purity Test, Radiology and Security System. Our entire product range is procured from authentic market vendors, who adhere to the prescribed quality norms. High on quality, our comprehensive gamut is appraised for precise functioning, reliability and longevity. We have formed strategic alliances with well-established market vendors, which include leading manufacturers and authentic retailers. These manufacturers develop these offerings as per prevalent requirements of medical sector. Backed by widespread distribution circle, we are able to meet schedules of delivery within agreed time-frame. Owing to our client orientation, on-time deliveries, quality compliance and ethical policies, we have earned loyalty of the wide client base spread across the country. Our treasured clients include BARC and BRIT.